The holidays are an exciting and busy time of year, and who doesn’t love getting gifts from family and friends? Every year, we receive all sorts of gifts that we don’t use, and eventually throw away. 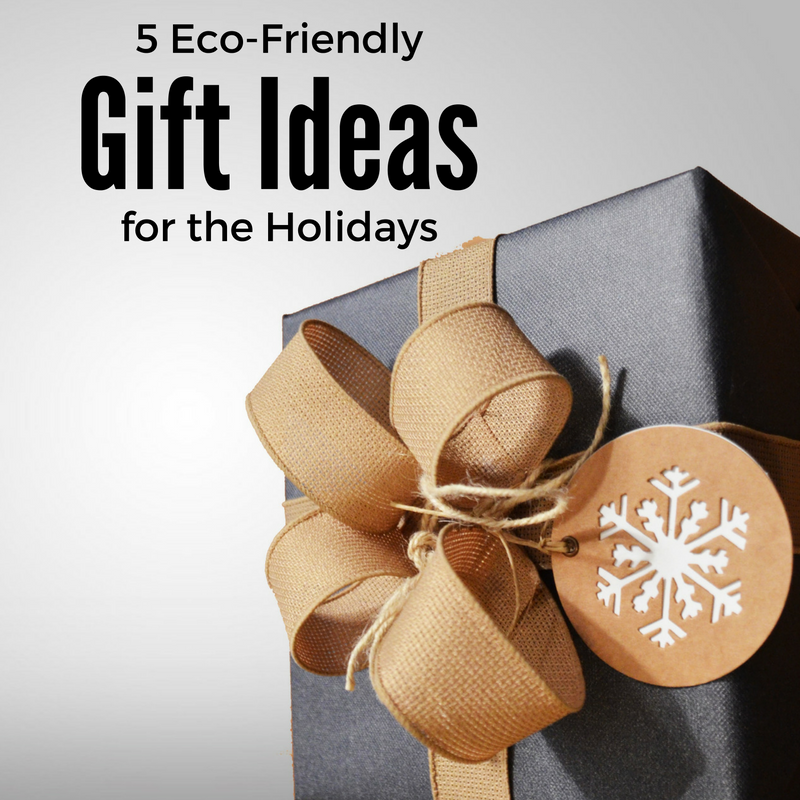 Instead, this holiday season, think about the planet as you think about what to give your loved ones! There are many ways to make gift giving more sustainable and just as much fun. Sustainable, thoughtful, and memorable! Try a new hobby, restaurant, etc. in your area with your loved one, or give them membership to a nearby museum or fitness class. Beyond reducing waste, this gift option will create a new, lasting memory with your family or friends. If you’re looking to give someone a specific product, make sure to pick a brand that will last. There are many websites that will help you pick items that won’t wear out quickly, like this one. Support your local economy and reduce your carbon footprint by sticking to local shopping. Plus, you’re more likely to find something unique and special that your family member or friend won’t already have if you buy from one of your local small businesses. If you’ve got a tight budget this season, DIY gift giving could be for you! This could be any number of things: bug repellent for the outdoorsman, organizational tools for the home or office, and more! Need some inspiration or guidance? Many websites publish guides for DIY projects, like this post, or Pinterest. Once you’ve purchased your gifts you aren’t quite done! You can keep your wrapping sustainable by re-using old bags or wrapping paper, wrapping in newspaper, and avoiding products that come packaged in lots of plastic.